Born in Bangor in 1912 Brenda Chamberlain decided from the age of six to become a painter and writer. While at the Royal Academy Schools she met and later married, fellow student John Petts. 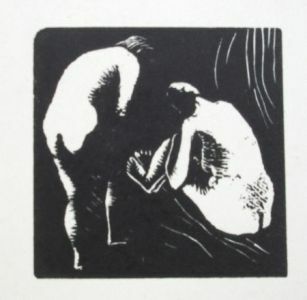 They moved to North Wales in 1935 where they set up the Caseg Press, producing in collaboration with the poet Alun Lewis a series of hand-printed 'Broadsheets' of poems and etchings, and Christmas, wedding and greeting cards based on religious themes. They separated in 1943. Like her main artistic influence, Paul Gauguin, she chose to spend much of the rest of her life in virtual isolation. She spent fifteen years on Bardsey Island, North Wales, where she painted day-to-day island life, twice winning the Gold Medal at the National Eisteddfod of Wales and regularly exhibiting at London gallery, Gimpel Fils. In 1962 she moved to the Greek island of Hydra, where her work took on a new freedom and exuberance. She combined poetry and images, made drawings from music notations and wrote a play. Throughout her life she published a number of books of poetry and prose. 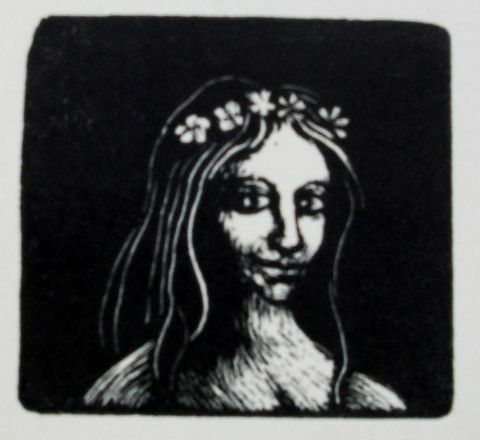 'Poems and Drawings' published in 1969 fused her writing and pictures. On moving back to North Wales in 1969 her work became increasingly stark, reflecting her mental state. Depressed and overcome with despair she died in 1971.